It's no secret that I LOVE TEA. Loooove it. 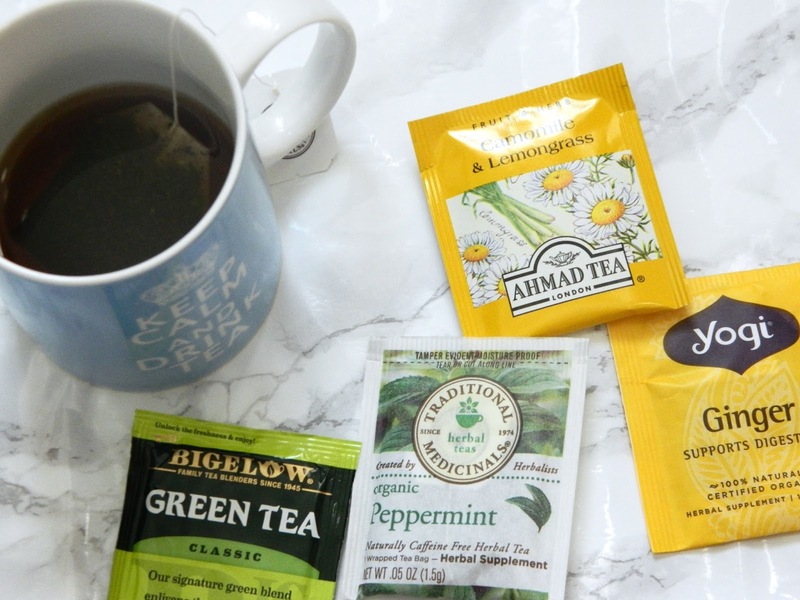 I've raved about tea before in other posts, but I wanted to do a whole post dedicated to one of my favorites beverages on the planet... tea. I love my coffee too, but there's just something about a comforting good ol' cup of tea. 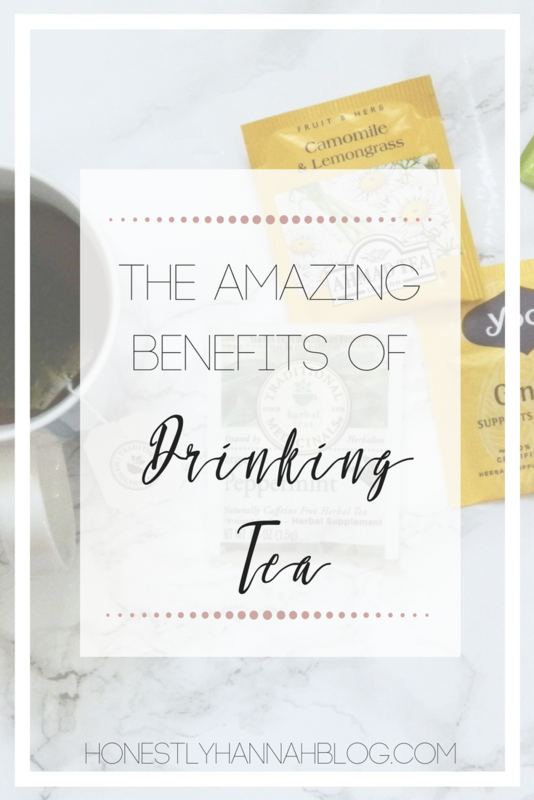 Here's some of the amazing benefits of of tea + why I love it... And why you should too! 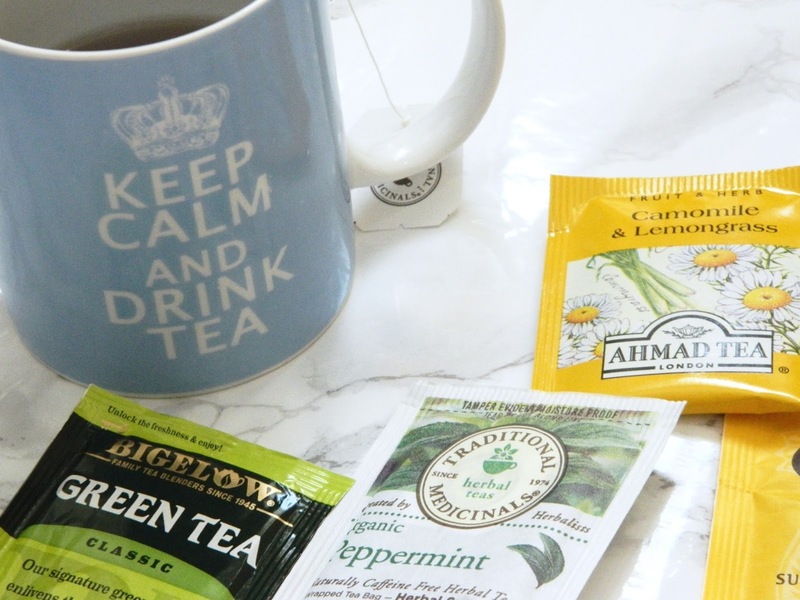 So first off - There's a million different types of tea, all with their own incredible benefits. This ginger tea has been a longtime favorite of mine. Ginger tea is absolutely LOADED with benefits. Not only is it a delicious and sort of spicy treat, but it's also great for relieving nausea due to illness or motion sickness. It also works to reduce inflammation in muscles and joints, while also just helping the digestive track work a little better. Ginger tea can also be used to fight respiratory problems, such as congestion associated with the common cold. It's also an awesome stress reliever. If you're feeling overwhelmed, a cup of ginger tea is sure to help you start feeling better quickly. 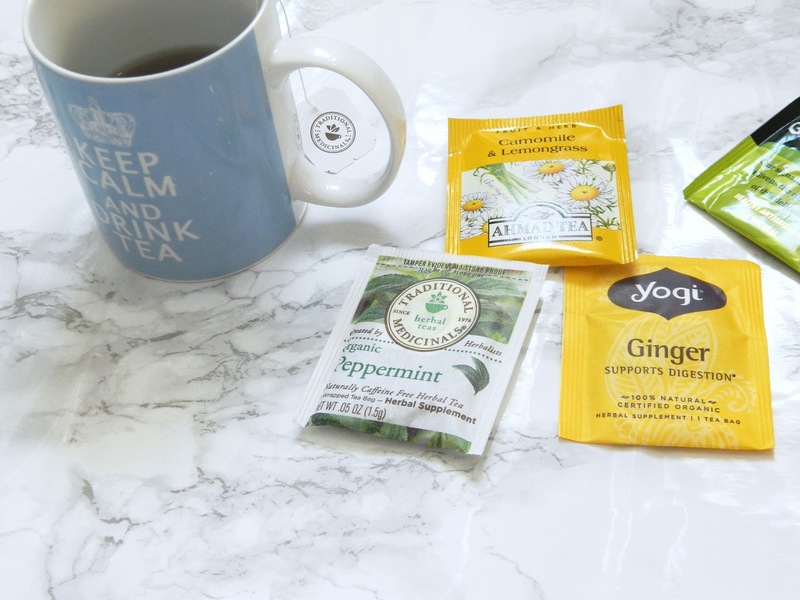 This chamomile tea has been a part of my nighttime routine for quite some time. I just can't get enough of this stuff! Chamomile tea is the BEST for winding down before bed. 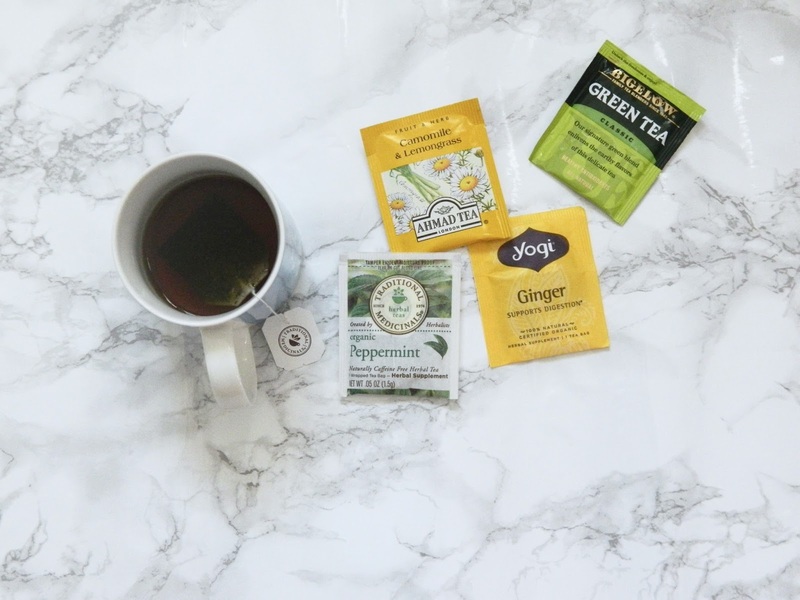 It's known for inducing sleep, so if you're an insomniac, trying out a cup of chamomile tea before bed might just be the answer. Chamomile tea is also super anti-inflammatory, immune boosting, and great for preventing sickness. Chamomile teabags can also be used externally...cool, right?! They can be used to open up your pores and even reduce the appearance of dark circles because of the antioxidants. I absolutely love the taste of green tea. To me it tastes so refreshing and it's a great way to stay hydrated. If I'm not feeling coffee in the morning for whatever reason, I always gravitate towards a cup of green tea. Plus it actually helps you burn fat and improve physical performance! It's probably not a miracle worker (sadly drinking something won't magically shed pounds, but it's a great healthy alternative to sugary drinks, and it chocked full of antioxidants). Peppermint tea is delicious. Good thing the health benefits of this tea are fabulous. Peppermint tea can reduce fever, improve digestion, prevent/treat nausea, boost your immune system, AND help reduce stress. What's your favorite kind of tea? I wanna know! Bein a south Asian I love tea and I’m glad you do too. You should try fruit teas as well. Turkish apple tea is delicious.